An egg dish that blends the whites and yolks of eggs with milk and seasonings to be cooked in an open pan. When making Scrambled Eggs, heat the pan prior to cooking the eggs to assist in "sealing" the pan and keeping the eggs from sticking to the pan. When the top part of the pan sidewall is warm to the touch then the pan has been sufficiently heated. 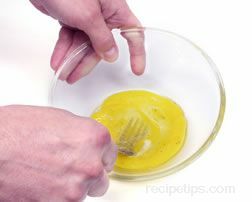 Spray or heat cooking oil so that it lightly coats the bottom of the pan and then pour the egg mixture into the pan. 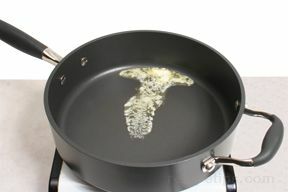 If butter is used, keep the heat low so the butter does not brown or burn in the pan. One of the main features of making good Scrambled Eggs is to allow the egg mixture to remain unstrirred for a minute or more in order to retain the moisture and air trapped in the mixture from initially being blended together. The trapped air will aid in expanding the egg mixture as it heats and puffing up the Scrambled Eggs. When the eggs in the center of the pan have cooked sufficiently, push them to the side and allow the uncooked sections of the egg mixture to replace the cooked eggs. 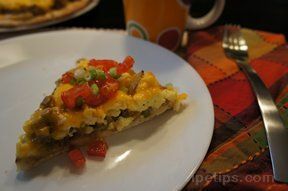 Other ingredients can be added to the egg mixture to enhance its flavor, such as cheese, meat, herbs, onions, peppers and mushrooms. Scrambled eggs are generally eaten for breakfast or brunch but with added ingredients, it can become a main dish for any meal. 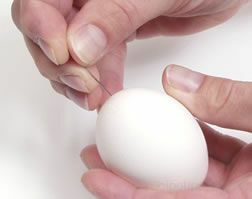 The eggs can be made fluffier by adding a tablespoon of water for each egg in the recipe. 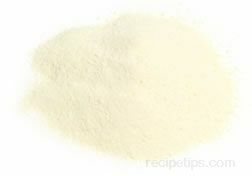 Or, if creamier eggs are desired, add a tablespoon of milk for each egg being used. 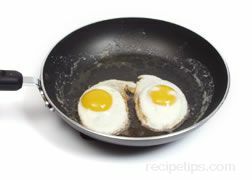 If a firmer egg mixture is desired, preheat the frying pan using a medium heat setting prior to adding the egg mixture. 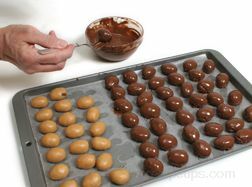 Then add the mixture and allow it to remain undisturbed for 15 to 20 seconds after which the eggs can be turned with a spatula repeatedly for 40 to 60 seconds.